Is Weibo Corp (ADR) (WB) A Good Stock To Buy? In this article, we are going to take a closer look at Weibo Corp (ADR) (NASDAQ:WB). Overall, the company has seen an increase in support from the world’s most elite money managers in recent months. 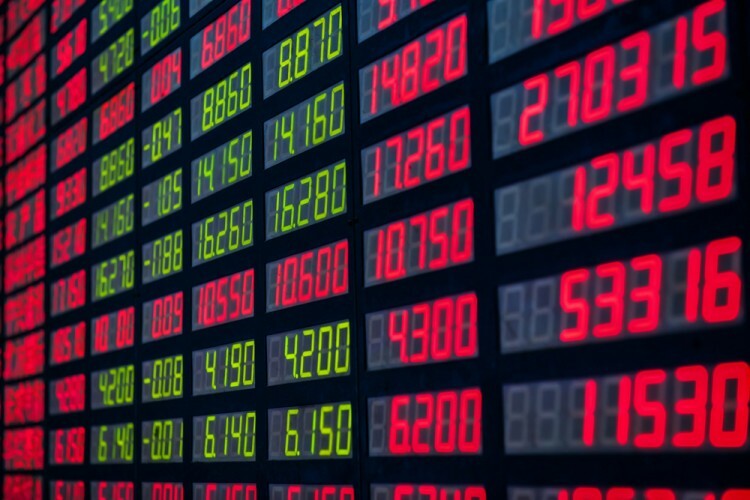 At the end of this article we will also compare WB to other stocks including Fabrinet (NYSE:FN), Hub Group Inc (NASDAQ:HUBG), and Ladder Capital Corp (NYSE:LADR) to get a better sense of its popularity. 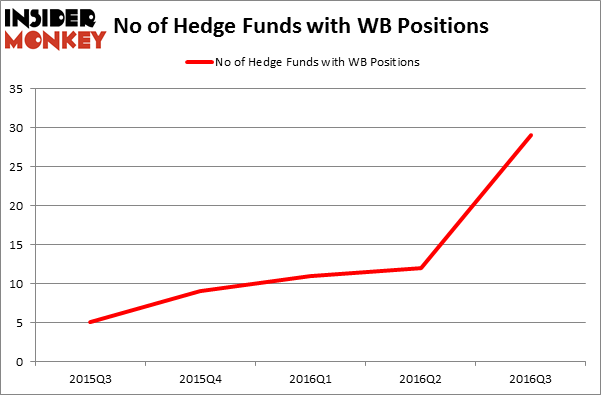 At the end of the third quarter, a total of 29 of the hedge funds tracked by Insider Monkey were bullish on this stock, a rise of 142% from the previous quarter. With the smart money’s positions undergoing their usual ebb and flow, there exists a select group of notable hedge fund managers who were upping their stakes meaningfully (or already accumulated large positions). Of the funds tracked by Insider Monkey, John Overdeck and David Siegel’s Two Sigma Advisors has the biggest position in Weibo Corp (ADR) (NASDAQ:WB), worth close to $34.3 million. The second largest stake is held by Jericho Capital Asset Management, managed by Josh Resnick, which holds a $25.8 million position; the fund has 1% of its 13F portfolio invested in the stock. Some other peers that hold long positions include Kerr Neilson’s Platinum Asset Management, Robert Henry Lynch’s Aristeia Capital and D. E. Shaw’s D E Shaw.